Take part in a survey and help support WWT’s waterbird monitoring work. We undertake a range of surveys that rely on volunteer surveyors, from roost counts to undertaking age assessments of goose flocks to reading colour-rings. Below is a list of forthcoming surveys for which volunteers assist with counts. 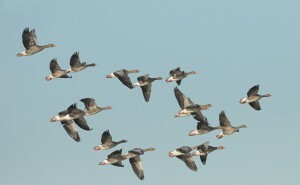 The Icelandic-breeding Goose Census (IGC) is a survey designed to monitor the numbers of Iceland Greylag Geese and Greenland/Iceland Pink-footed Geese. The annual survey consists of one count per month in October and November. We also undertake coordinated spring counts every three years to assess site importance at this crucial time of the year. 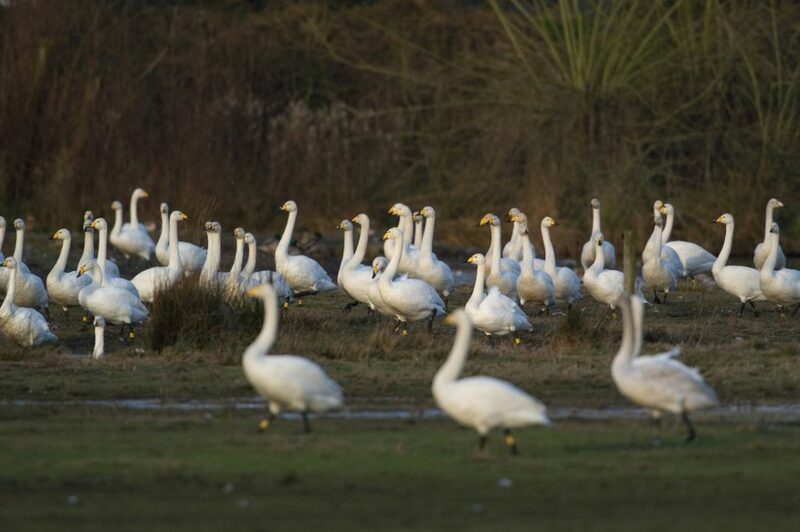 The International Swan Census (ISC) is a survey designed to monitor the numbers of Iceland Whooper Swan and the North West European population of Bewick’s Swans. The five-yearly survey will take place in January 2020. Further information will be available in due course. 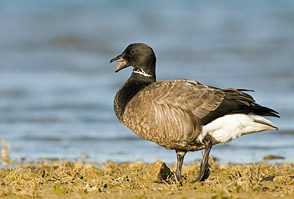 Age assessments are undertaken to determine the annual reproductive success of each goose and swan population. Counters record the number of young present and the size of family groups. The survey period for age assessments varies depending on the species involved; however, the surveys are mostly carried out during the autumn and winter. Three coordinated census dates are set each winter for age assessments of Whooper and Bewick’s Swans (although age assessments made at any time during the winter are welcome). 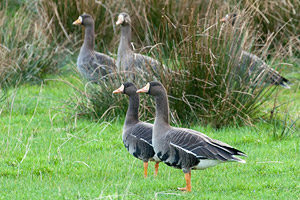 The Greenland White-fronted Goose Census is organised by the Greenland White-fronted Goose Study. 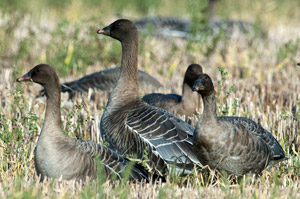 The aim of the census is to assess the population size of Greenland White-fronted Goose and estimate annual breeding success. There are a number of projects that involve the capture and marking of geese and swans with coloured leg rings and/or neck collars. Such projects provide information to researchers on the life of individual birds, such as their migration strategies. Sightings of colour-marked birds can be provided at any time of year. There are various other surveys, both annual and periodic, that volunteers can get involved with. 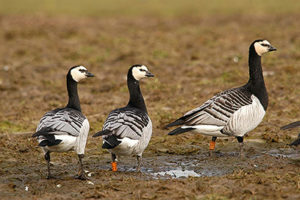 The Goose and Swan Monitoring Programme (GSMP) network is the programme’s greatest strength. 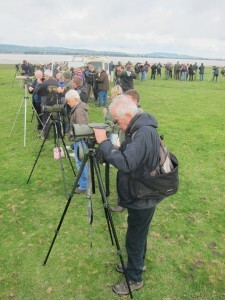 The magnificent contributions from all the counters, ring-readers, bird ringers and the many other participants is what makes a programme such as this possible. Various resources and information for the GSMP network are available on this website.